1.1 What is Affiliate Marketing? 1.2 How to Start Affiliate Marketing? 1.3 How to Learn Affiliate Marketing? In this article, I want to share my own knowledge about affiliate marketing. You can say them the best secrets of affiliate marketing. These are working tips of affiliate marketing. 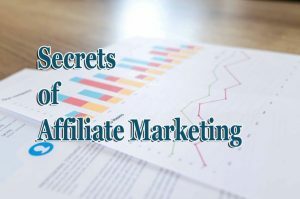 I hope you read articles about affiliate marketing on many websites but most people don’t share their personal secret methods of affiliate marketing. Here I will share them. Hello, friends, I am SUMIT SINGH. And you must follow me on Instagram to learn more about SEO, affiliate marketing, digital marketing, earn money online, etc. Let’s start the topic of affiliate marketing. Many people say that affiliate marketing is very tough. Anybody who is beginner can’t do it. So I want to tell you that you should keep their opinion at side. And then read this article. I hope you definitely know what affiliate marketing is. But here I am giving you a small introduction to affiliate marketing. You sell a product of others. And after selling you will get some commission. So this procedure is called affiliate marketing. First of all, I want to say you that affiliate marketing is not restricted till Amazon and Flipkart. Most of the people think that we can do affiliate marketing only from Amazon and Flipkart. Most of the websites who sell something give a chance to earn an affiliate commission. Most of the websites have affiliate programs. There are some dedicated affiliate programs you can join them like cj.com, AWIN, etc. Many people say that they don’t have any blog or website. How they can do. You can start affiliate marketing from forums, landing page, etc. But if you have a website it will easy for you to do affiliate marketing. If you have good writing skills then it is very easy for you. You should write about a product and then you can sell that product. Example: If you are a fitness lover then you can start a blog where you can share articles about fitness. You can write on your blog about fitness like gym equipment, mass gainers, mass burners, shakers, etc. And then you can sell them through an affiliate link. This is only an example you can do this according to your interest. Most of the people who are in the blogging industry promote themes, tools, hosting, etc. First of all, you should search for keywords that have buying intent. Make sure that the visitor will search that keyword only to buy anything. I am giving you an example below. If a visitor searches for “best computer science books”. It means visitor want to buy computer science book. So you can work for this keyword. Even the searches are low but this keyword used for buying intent. And most of the visitor will convert by this keyword. People make a website of software reviews, hosting reviews, theme reviews, etc. And they promote it through Facebook ads and Google ads. Many people said that this is the wrong way to do affiliate marketing. It is totally waste of money. But I want to tell you that it is not a waste of money. If you have good knowledge of advertisement then you can earn from here. I am not recommending this method for beginners. You can’t do it more powerfully. So you should go for a blog. But if you have enough amount of money then you can take a tour of Facebook and Google ads to learn it. If once you learned it then you can make the awesome profit from these ads. Now the question is how to learn affiliate marketing. So I want to tell you that the internet is full of knowledge you can learn from youtube or some special websites which are given below. You don’t need to pay for anyone to learn affiliate marketing. What is Affiliate Marketing? How Can I start? How to choose the best affiliate products? How to promote products on your blog? If you want to learn about affiliate marketing from scratch then you can buy a course given by Gaurav Madaan. 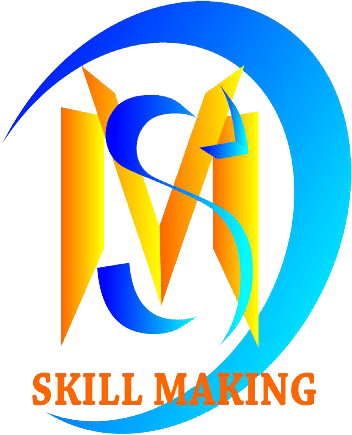 Affiliate Marketing Course By Gaurav Madaan. Finally, you got information about the secrets of affiliate marketing. Now I am sure that you can earn money from affiliate marketing. If you find this article useful then don’t forget to share it with your friends. You can follow me on Instagram. This entry was posted in blog, blogging, digital-marketing, make-money and tagged how to start affiliate marketing, secrets of affiliate marketing, what is affiliate marketing. Bookmark the permalink. I also want to work on affilliated marketing. Please keep posting. Ok, I will try my best.